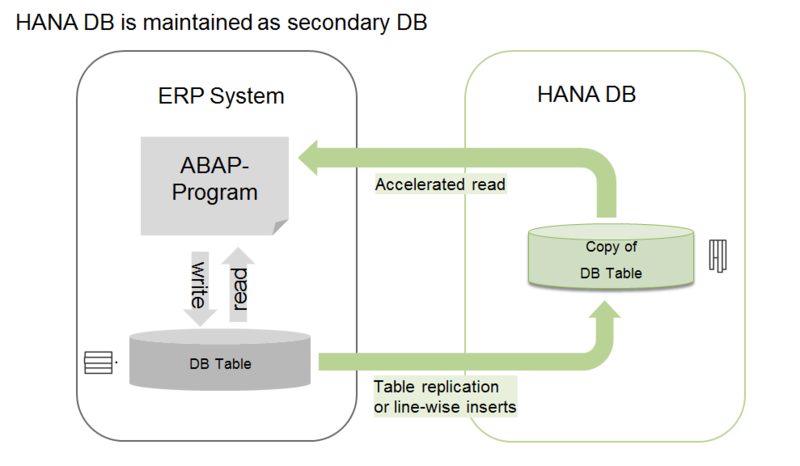 This is the first part of a 3-part blog – covering my experience of connecting a SAP ABAP 751 Developer Edition server to HANA Express and then, replicating data over to HANA through ABAP and finally, running a quick performance test between the two system using ABAP CDS vs HANA CDS. Thomas Jung has shared a similar post back in 2012 – discussing on the topic of connecting a HANA database as a secondary DB in ABAP and also shared the following image below – and this is the inspiration to the start of a personal initiative to set up something similar locally. 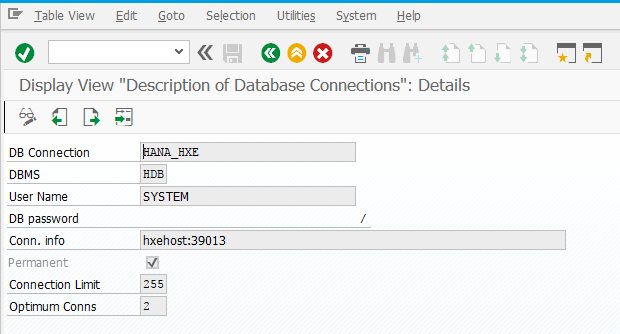 This blog post will simply be a documentation of how I was able to connect a HANA Express 2.0 system to a AS ABAP 751 SP02 Developer Edition following the steps that Thomas has shared and use this set up as a practice system between ABAP and HANA. 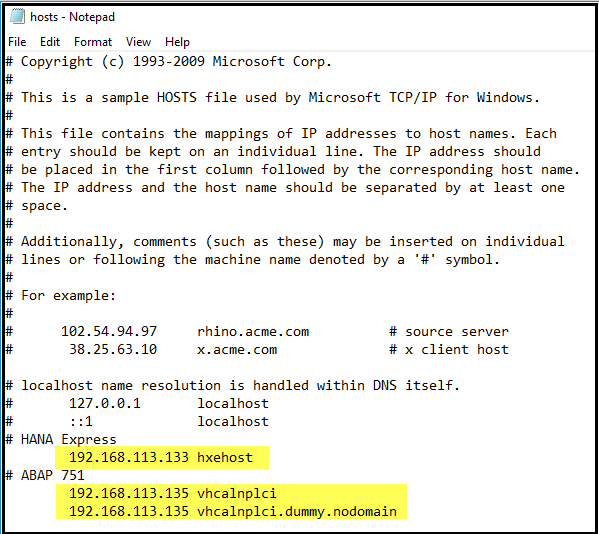 To start, I have the following systems installed locally on my laptop and both are running concurrently and I have updated the hosts file for all three system (Windows Laptop, HANA Express server and ABAP server) with the ip address of each systems. 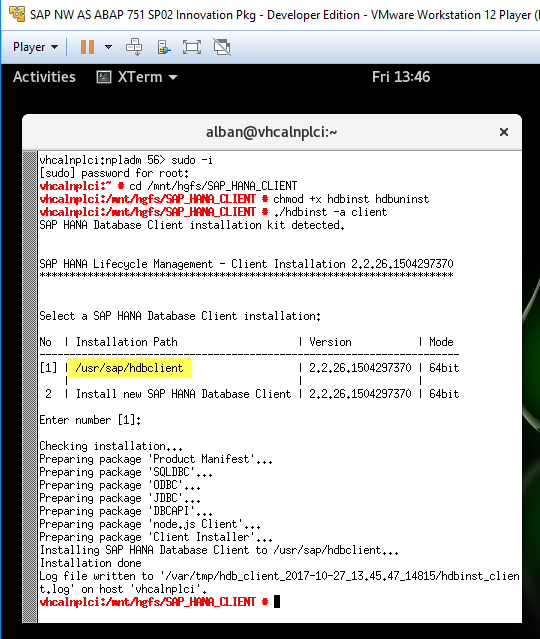 As stated in Thomas’s blog, I will need to download the SAP HANA Client from SAP Software Center and install it onto the ABAP server. 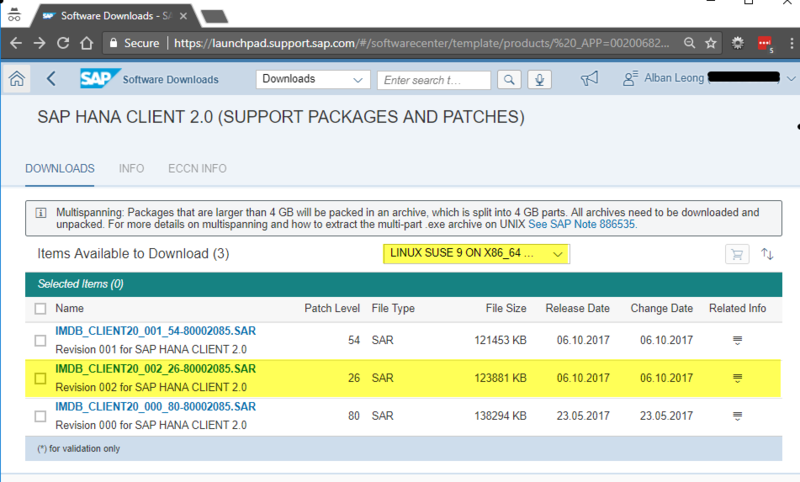 *Search for HANA CLIENT in the Software Center and then make sure to select the right OS version and download the latest version – see example screenshot below. 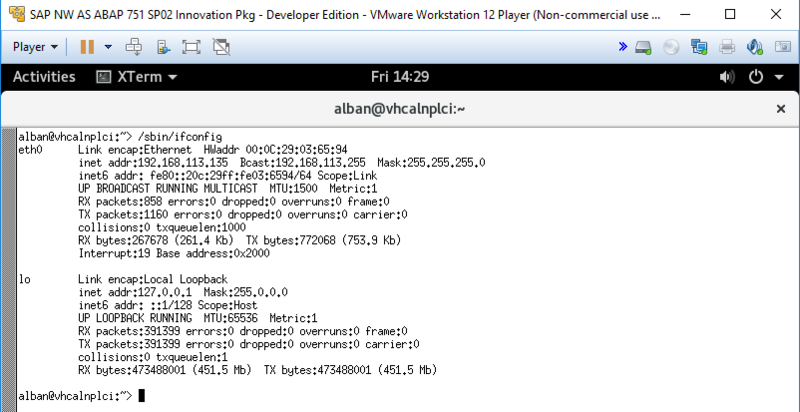 After downloading the HANA Client, extract the SAR file and then connect the folder that contains the extracted SAR files to VMWare Player. 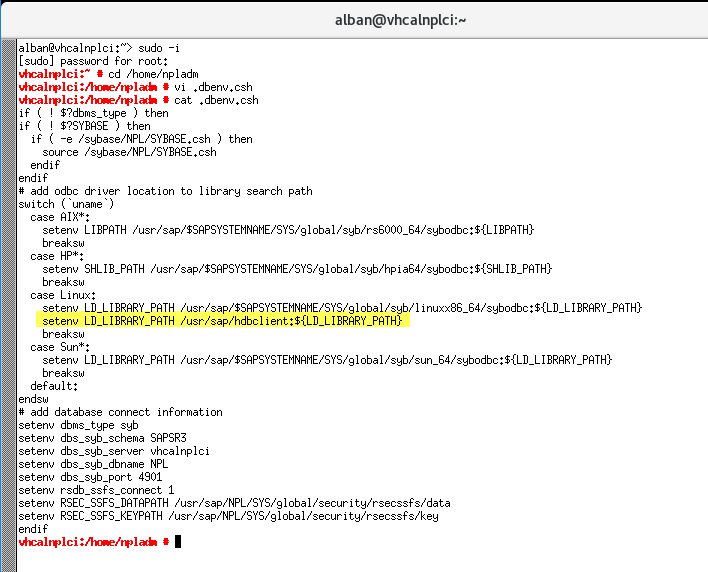 Once connected, below are the steps to install the HANA Client on the ABAP server. Next step is to set a reference to the HANA Client in LD_LIBRARY_PATH in the file .dbenv.csh. in /home/npladm. Add a new line as highlighted below. 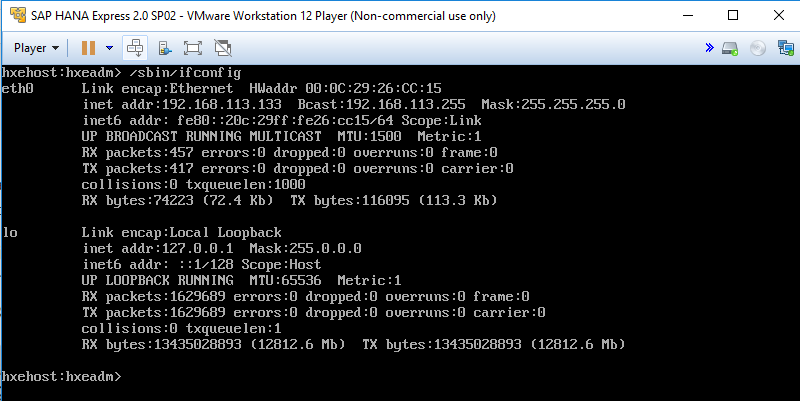 Restart the SAP server incl. DB if you have it running while making these changes. Once saved, this connection will show up in DBACOCKPIT and I can then execute a connection test. I now have successfully connected the AS ABAP 751 Developer Edition with the HANA Express server as a secondary DB. In part 2, I’ll share a program that I wrote (taking inspirations and tips from Graham Robinson in a blog that he shared back in 2013 called Loading data into HANA using RFC) that will help me replicate data from any SAP tables into this HANA Express instance.